For much of her infancy, my toddler was a "stopped up" little baby. I was so relieved when she was old enough to drink one ounce of prune juice a day, but being a petite miss, it didn't take much prune juice to get her going again. In fact, it got her going a little too much. We decided to give her a half ounce of juice diluted by another half ounce of purified water. This was just right for her. Still to this day at 2.5 years old, we serve her diluted juice, and she likes it! 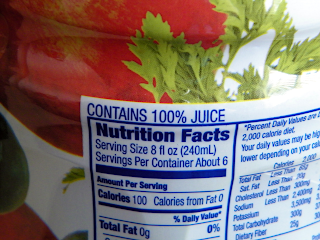 As you know, most juices on the market today have way too much sugar. What if you add a little water to each serving? You and your kids would get as much of the refreshing sweetness you want without loading up on excess sugar and also making your juice supply last longer. With my toddler, I can get away with 1/3 juice, 2/3 water. Sometimes, I can get away with 1/4 juice. I've diluted juice for myself, usually about half and half, and have been pleased with the taste. (I've even done this when serving juice at parties. Shh!) Try different ratios to see what works with your family. Last week, I was in the store buying a blueberry/pomegranate juice and was considering purchasing the "light" version of the same brand because it contained less sugar. I looked at the nutrition label, and everything seemed to reflect the lower sugar count. Then, something caught my eye. Hm. I looked at the ingredients lists. 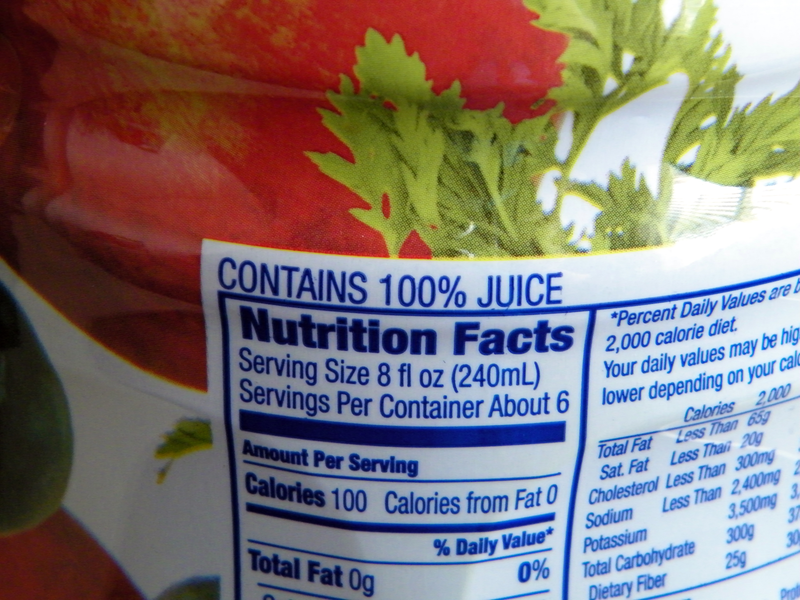 Sure enough, where the 100% juice lists reconstituted vegetable juice and reconstituted fruit juice first and second, the "light" juice lists filtered water. The two bottles were the same size, the same price, but for the "light," one was paying for half a bottle of water! Why not buy the full-flavored option and dilute it yourself at home? That is like getting two bottles (or three) of the "light" stuff for the price of one! There ya go: a frugal tip inspired by one backed-up little infant.